A lurking monster, lodged in a cave dwelling of the hare when she is out, claims: “I eat rhinos for lunch and elephants for supper. Come in if you dare!” Running scared, the hare enlists the fox to help get the monster out. But the booming voice sends the fox running. When in turn the leopard, the rhino and the elephant all fail to get the bullying monster out and run scampering from the booming voice, the animals are surprised at who volunteers next to take on the challenge. She was about to enter when a rustling sound inside the cave made her heart jump. “Who is there?” cried the hare. 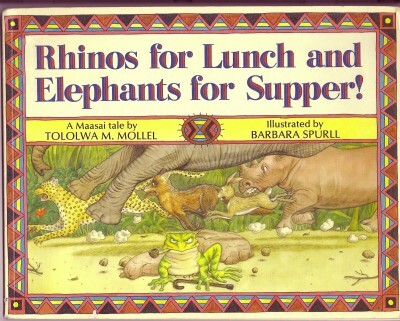 Mollel … tells this amusing cumulative tale with a verve that especially recommends it for oral sharing; Spurll sets her wonderfully expressive animal characters in a carefully composed jungle attractively bordered with a lively geometric design. 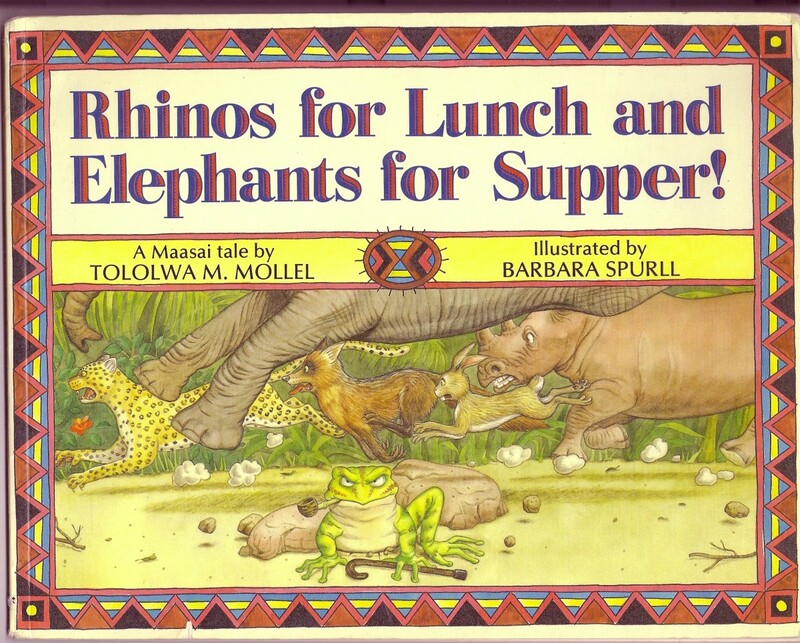 A lively Maasai tale, with vivid illustrations.